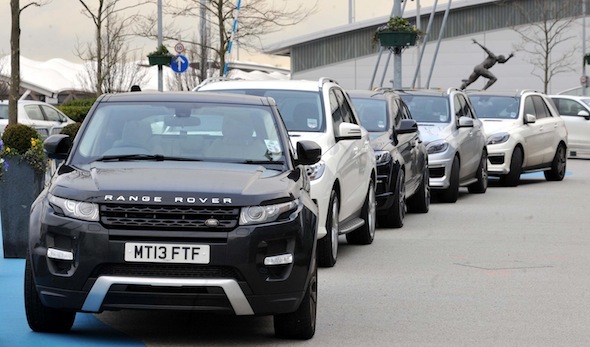 Players at Manchester City have their cars warmed and delivered to them at the front doors of the Etihad, The Sun has revealed.> According to an eyewitness, some of the pampered players' cars are just 10 yards away but staff insist on delivering the vehicle to the front door warmed and ready for the footy aces to drive away. The valet service has been dubbed "heat and greet" by some staff members and sees players like Edin Dzeko, Matija Nastasic and Pablo Zabaleta look on as Man City employees drive the short distance to the front door. A witness told The Sun: "It's the height of pampering. Some are embarrassed but most think it normal." Last night a Man City spokesperson told the newspaper that the valet service was necessary to maintain security around the ground. A valet service that provides heated cars to Premier League players is merely the tip of the pampering iceberg. The Mirror spoke to ex-Manchester United fullback and youth academy director Brian McClair, who said that players have a large flat screen TV in their dressing rooms, instructing them on the day's proceedings. "I switched it on and saw there was a scrolling screen informing players of details for the day. There were times of training, massage times, pedicure times, hair care times, whose turn it was to speak to MUTV, who to instruct to run a bath for you, weights sessions, yoga times and nutrition advice," he told the newspaper in 2009. And that's before we mention the staff members who are tasked with rescuing stricken Porsche Panameras from giant puddles.